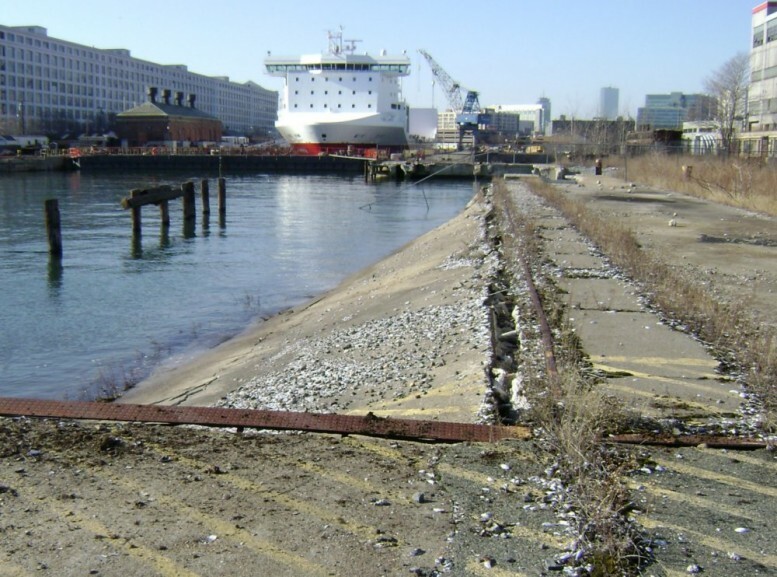 Childs has recently responded to an emergency request by the BRA/EDIC for engineering services at the South Jetty in the former Army Supply Base in South Boston. Childs assisted with a similar emergency in 2007. Sections of the existing wharf have failed due to deteriorated concrete columns on the steel pilings. The collapsed wharf must be removed to prevent the material from entering the water and causing shoaling of the entrance to the large drydock. Childs prepared a stabilization technique and solicited pricing from multiple contractors. At present we are developing demolition plans and specifications and filing a Notice of Intent with the conservation commission in order to undertake the necessary demolition. Childs first involvement with the South and East Jetty was in 1995 when we were retained to inspect the condition of the jetties both above and below water. As the result of the inspection and follow up assessment Childs developed a repair design for the jetties using an innovative method of reusing the driven part of the piles. This repair was never undertaken do to the $12 million price tag.